Are you looking for an experienced concrete contractor to take care of excavation? Do you want quick yet efficient results? You must contact Pour Concrete. The contractor is a reputable name among home owners and businessmen for excavation and grading services in Toronto. What are the Different Types of Excavations and Grading Services offered by Pour Concrete? 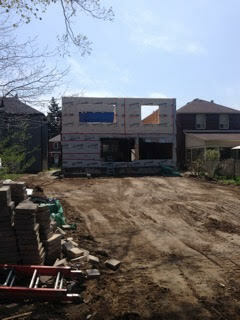 Why Choose Pour Concrete, An Expert Contractor, for Excavating and Grading your Site in Toronto? Initiating the project with state-of-the-art equipment. Pour Concrete is a successful excavation contractor in Toronto because of its obsession with precision. We work hard to maximize quality and minimize cost. We understand that constructing a home or an office is an expensive project. So, we provide you with a detailed budget to make sure that you are able to plan your expenses thoroughly. Once you agree with the estimate, we start the excavation and grading process by keeping you informed about each and every new development. Our highly motivated crew does not cut corners. So, do not worry about the quality of work. Pour Concrete is an experienced concrete contractor. It can handle large scale excavation and grading of the entire property as well as smaller personal projects such as excavation for swimming pools in Toronto. Avail the quality services of Pour Concrete by calling on 647-368-6206 or submitting your requirements online.